Wil van Gemert was born in 1960 in Nederweert, the Netherlands. After studying urban planning, he joined the Dutch Police Academy and then started his career with the Amsterdam Police in 1988. Here, he filled several positions in basic policing, policy support and, from 1991, financial investigations and combating fraud. He also went on to head the Special Duty Police unit, responsible for public order and riot control. During this time he graduated from the University of Amsterdam in organisational management and policy advice. In 1995 he was appointed Head of the National Investigation Team of the Dutch National Police Agency (KLPD) - a new multi-disciplinary team focused on combating organised crime through financial investigations. In 1999 he was appointed Project Leader of a new Criminal Investigation Branch and was tasked with restructuring criminal investigations within the KLPD. In 2001 he became responsible for the reorganisation of the KLPD into an agency consisting of 12 operational services and 4 support services. This restructuring was implemented in 2002. On 1 March 2001 Mr van Gemert became a member of the KLPD’s management team as Director of Criminal Investigations, with a staff of around 1500 people. In 2003 he led a project to integrate the National Criminal Investigation Agency into the KLPD, and also filled various roles working with international organisations and cooperative groups such as Interpol and Europol. Mr van Gemert joined the Dutch National Intelligence Service in 2004, when he was appointed Director of National Security at the General Intelligence and Security Service (AIVD). The Directorate of National Security focuses on combating terrorism, violent and politically-motivated activism. On 12 January 2012, he was appointed Director of Cyber Security. In this function he was, among other topics, responsible for the new National Cyber Security Centre (NCSC), part of the Ministry of Security and Justice. The NCSC works to enhance Dutch defences in the digital domain through public-private cooperation. 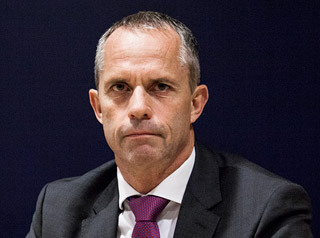 On 1 May 2014, Mr van Gemert took up the position of Deputy Executive Director of Europol and Head of the Operations Directorate. He manages a department of experts, specialists and analysts dealing with serious and organised crime, as well as terrorism and cybercrime. Mr van Gemert speaks Dutch and English.